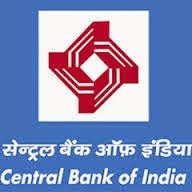 Central Bank of India Recruitment 2018 – Office Assistant, Attender & Watchman Posts :- Central Bank of India (CBI) has released latest notification for the recruitment of Office Assistant, Attender & Watchman post on contract basis. Desirous & eligible candidates can apply in prescribed application format on or before 23/02/2018. 01. Office Assistant : Graduate viz. PGDCA/BA/B.Com/B.Sc. With computer knowledge. Application Procedure: Eligible candidates may send their application in the prescribed format along with all essential documents to Regional Manager, Central Bank of India, Regional Office Sambalpur, Quantum Building, Modipara, Farm Road, Sambalpur, Odisha PIN – 768002 on or before 23/02/2018. Central Bank of India (CBI) has published latest notification for the recruitment of Office Assistant for RSETI (Rural Self Employment Training Institute ) Kota on contract basis for the Year 2017 – 18. Desirous & eligible candidates can apply in prescribed application format on or before 04/10/2017. Age Limit: 35 years with sound health. Educational Qualification: Shall be a Graduate viz. BSW/BA/B.Com with computer knowledge. Application Procedure: Eligible candidates may send their application in the prescribed format along with all essential documents to the Senior Regional Manager, Central Bank of India, Regional Office, Opposite to MBS Hospital, Civil lines, Nayapura, Kota, Rajasthan on or before 04/10/2017. Subscribe our free job alert mail for Central Bank of India Recruitment 2018.